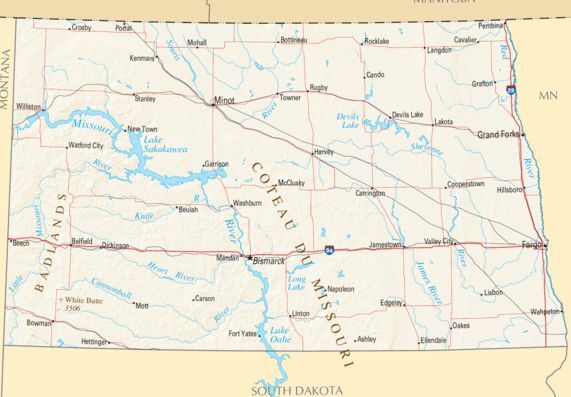 North Dakota health and agriculture officials are reporting several cases of the bacterial, zoonotic disease, tularemia, in both humans and animals in at least four counties. To date, three human cases have been reported–confirmed cases in LaMoure and Burleigh County and a suspect, but likely case in Stark County. The health status of the three individuals is not known. In addition, two North Dakota zoos have reported tularemia in animals. A squirrel from the Roosevelt Zoo in Minot tested positive, while two primates from the Dakota Zoo in Bismarck contracted the disease. Zoo officials are taking precautions to protect their animals, staff and visitors from the disease. Visiting a zoo does not pose an increased risk to the general public. However, people are advised to follow guidelines against touching animals that are posted by the zoos, and to avoid direct contact with wild animals, such as rabbits and rodents, which are known carriers of tularemia. Tularemia, also known as “rabbit fever” or “deer fly fever,” frequently affects rabbits, hares and rodents and has been associated with rabbit and rodent die-offs. People may acquire tularemia when bit by infected ticks, deer flies or horse flies. It can also be transmitted by handling infected animals, or through ingestion or contact with untreated, contaminated water or insufficiently cooked meat. In related news several states away, officials with the Rocky Mountain National Park in Colorado report tularemia was detected in a dead muskrat in the Lily Lake area of the park. Leprosy: Florida provides informational video; What is the true case count?